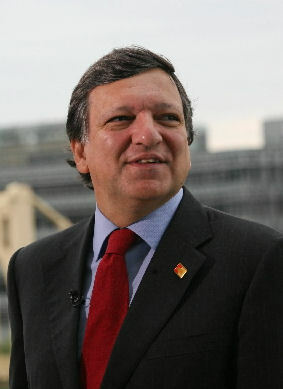 José Manuel Barroso was elected in year 2002 as the prime minister of Portugal. But in year 2004 he became the president of the EU commission and so he ended his career as the prime minister of Portugal. When he already started his term in office there were many people which questioned his position. They didn’t think that Barroso is the right man for the president of the EU commission. While the 5 years of his term in office he got more and more critics, because of his decisions. For example when he decided to raise the EU budget from 1,0% to 1,14% of the gross domestic product there were some countries (like Germany), which said that they would pay more money to the EU than they get back in form of subvention. So they would be a disadvantage for these countries which have a higher gross domestic product than other ones. In addition some politicians didn’t like the decision to collect money of every EU country to give it to people who are victims of the globalisation. The politicians said that it wouldn’t be the task of EU commission to make sure that these people can stay one or two years longer. It would be the task of every shop, company and so on to make such a good offering that people want their achievement. members of the commission wanted him to be the president of the ommission for a second term. In fact he isn’t indisputable in his position, but there also wasn’t a real rival candidate for Barroso. Before the re-election (2009) he promised parties like “die Grünen” and “die Linken” that he would build a commissariat for climate protection that they also would vote for him. Notwithstanding the hope that José Barroso will make it better in the term till 2014 there are very many people who are thinking that he isn’t the right man for the position of the EU commission. Barroso’s flexibility especially makes many politicians dismiss him. For example Barroso swore George Bush in year 2003 that he would help him with the war against Iraq. Nowadays he wants to make a “NewDeal” with Barack Obama. A politician named Daniel-Cohn-Bendit called him because of such things a “chameleon”. He said that Barroso would change his attitude with changed surroundings.